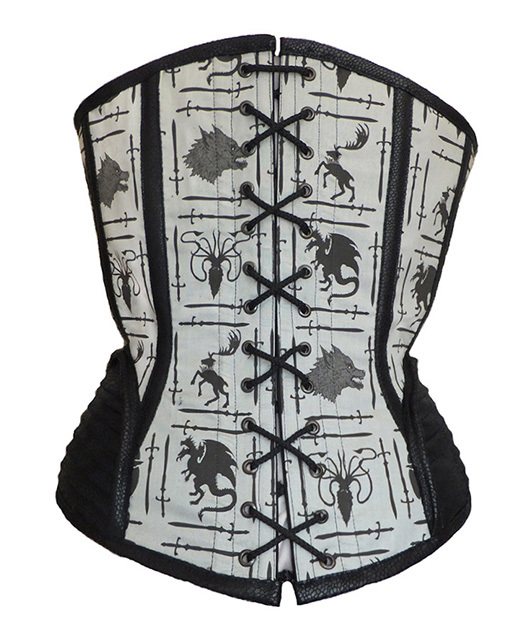 Game of Thrones House Sigils Print Corset. Leather trim and hip armour like plates - faux leather with snakeskin like embossing. Corset ties at back and front panel.